Jeremy Wehking of Advanced Physical Therapy Specialists, loves puzzles. Not the 1,000-piece, cute-kitten kind of puzzle, but the kind of puzzle each physical therapy patient offers. For Jeremy, every patient is unique and he understands that what works for one patient may not work for you. 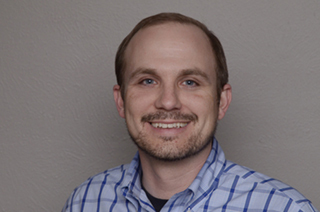 With experience in multiple schools of thought and various systematic approaches toward physical therapy treatment, Jeremy stands among a very small percentage of physical therapists who look beyond your diagnosis to offer the most complete, effective, and efficient treatment possible. Instead of treating just your diagnosis, Jeremy treats you. Your diagnosis offers a starting point—like the outer edges of a puzzle—for your physical therapy. Because the parts of your body are all connected, Jeremy fills in the blanks by identifying all the contributing factors to your diagnosis so you can see the whole picture (remember the children’s song, “your back bone’s connected to your hip bone…”). Jeremy’s comprehensive and efficient approach ensures that when you complete physical therapy, the final picture is always a healthy, happy you. As both a Fellow in the American Academy of Orthopedic Manual Physical Therapists and a Board Certified Orthopedic Specialist, Jeremy possesses more training than 95% of physical therapists. He’s one of only 3% of physical therapists in the United States and one of only 7 physical therapists in Colorado to possess both distinctions. Jeremy holds a Master’s in Physical Therapy and a Bachelor of Health Science from the University of Florida, but he’s not finished learning. A self-professed continuing education (CE) junkie, Jeremy annually puts his time and effort into CE courses to learn new approaches. Most recently, he studied with the Postural Restoration Institute, the Institute of Physical Art, and took the St. Augustine Craniofacial series taught by Mariano Rocabado. He also trained with Kinetacore in Trigger Point Dry Needling. Even in the time Jeremy spends away from the treatment room, he’s still learning. After moving to Colorado in 2010, if he’s not running a 5K or a half marathon, Jeremy can be found slope-side attempting to master skiing and snowboarding. He also enjoys playing guitar and playing with his two dogs. And maybe doing a cat puzzle. Because for Jeremy, it’s all about solving the puzzle. If you are in pain or discomfort and need the assistance of a professional physical therapist who has the extra training and background to properly diagnose your medical issue and provide you with the best care, email or call Advanced Physical Therapy Specialists at (305)433-1172.